Happy Friday friends! I am so glad you could join me this week. It has been another busy week for me , and I was without my computer for a few days, so that meant no photo editing. I took a lot of photos with my iPhone, as usual, though. We had much warmer temps this week too, so the kids enjoyed lots of water play. We also made several visits to the river in our neighborhood, where the Canada Geese are out with all their goslings. Very beautiful photos. Looks like the kids are enjoying the warmer temps as well as the geese. Coming here is always a treat... especially when I need inspiration. 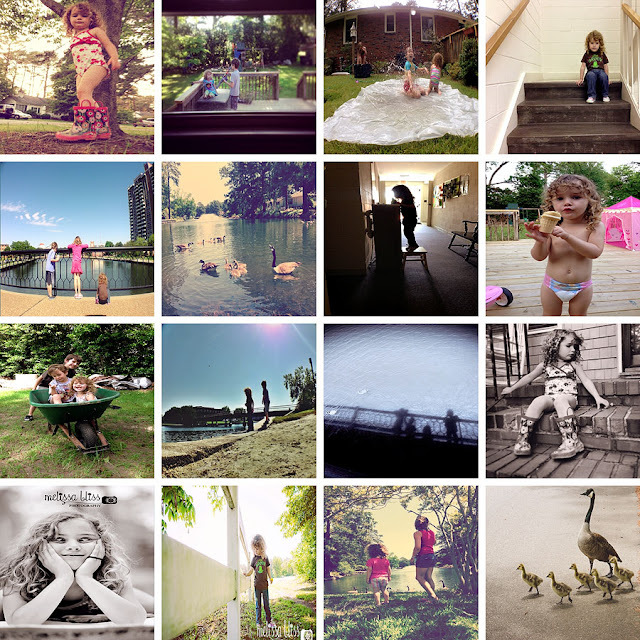 I always love seeing your photos, snippets of a sweet life! You always have the most beautiful week in photos. I really need to get better about taking pics of the kids again. I did actually get some this week while practicing through the book- just have not even touched them yet with all that has been going on. So now I have them but I'm 2 weeks behind in processing & posting. Busy week. Hope you have a beautiful weekend! Thinking about you. Thank goodness for phone cameras! I love being able to not miss a capture. Your IG images are always so sweet and full of joy! Precious and priceless photos of your week...Have a wonderful weekend! These are great! It's finally warming up here too. Love your favorite moments, thank you for sharing them and for the party. Have a great weekend. Looks like a fun week...hope you have a great weekend. I love the rainboots and bathing suit. :) So cute!